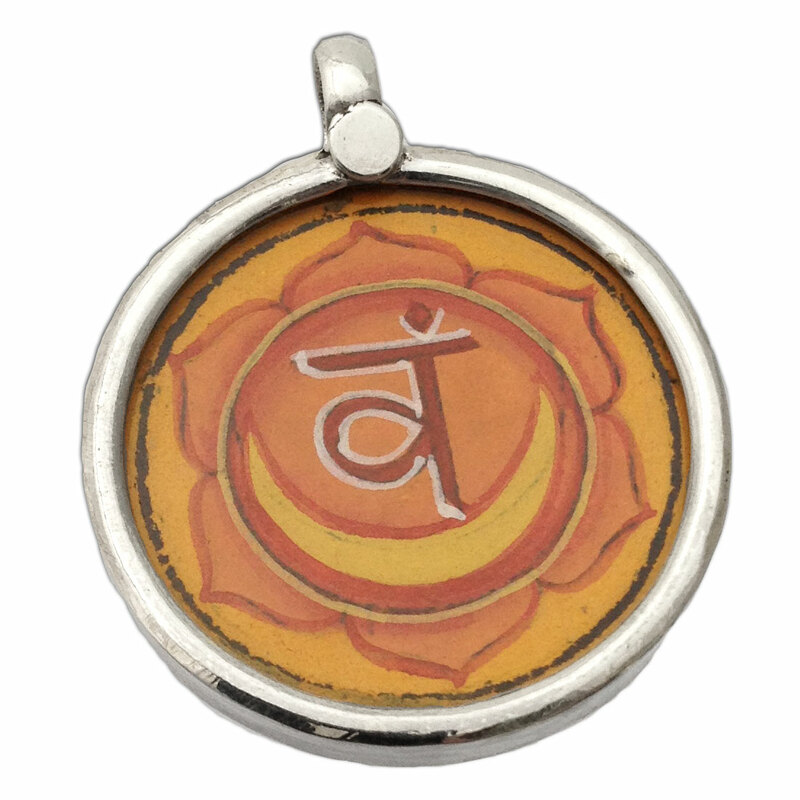 Get your sacral chakra groove on with the 1 inch miniature painting pendant with the symbol for the sacral chakra. The painting may vary slightly from the picture as each one is hand painted. 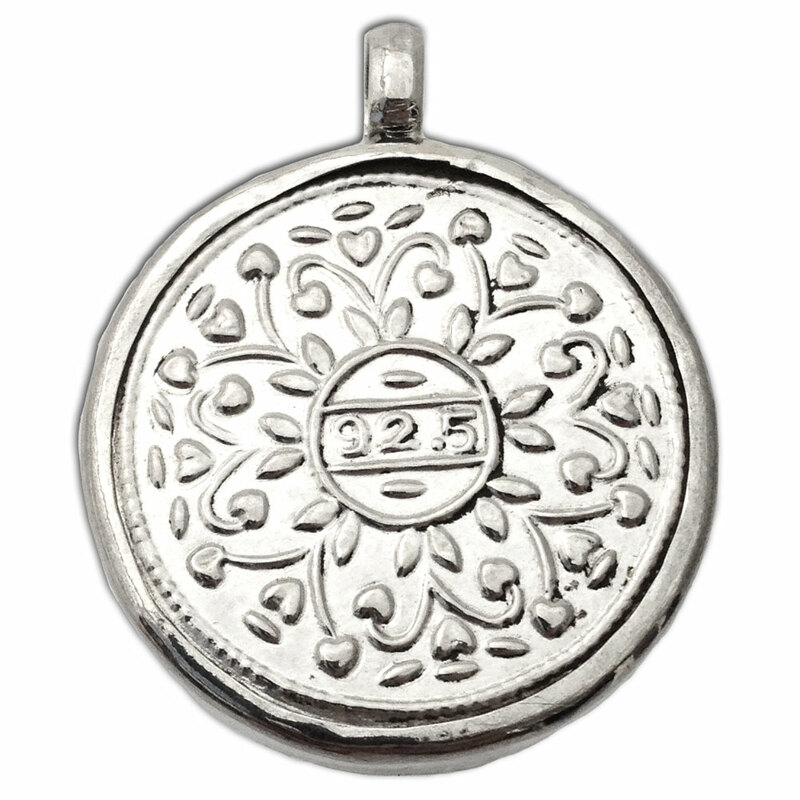 The painting is encased in sterling silver and glass. Sacral Chakra (svadhisthana): Sensuality. Growth. Creativity.